As of 6am local time on Wednesday, conflicting reports were emerging from Lausanne on what exactly has been agreed to. The Russians said "all" major issues have been agreed on and a framework agreement will be drafter on Wednesday. Iran's foreign minister said that "majority" of the issues have been resolved. And a Western diplomat was quoted as saying that no agreement had been agreed upon as of yet. 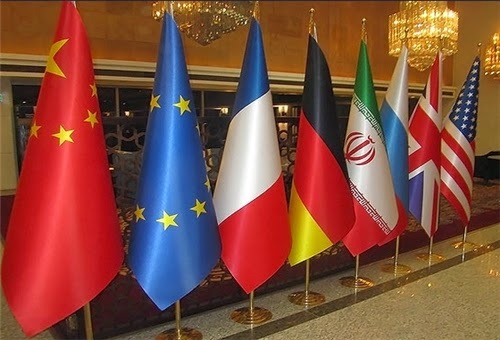 - Russian Foreign Minister Sergey Lovrov said in Lausanne that Iran and the six world powers have agreed on main issues during the latest talks. A framework agreement will be drafted and presented on Wednesday, Lavrov said. - Lavrov added that Iranian Foreign Minister Javad Zarif and EU foreign policy chief Federica Mogherini will give a joint statement about the agreement on Wednesday. - A short time after Lavrov's announcement, Reuters, citing a diplomat close to the talks, reported that such an agreement, as described by Lovrov, had not been reached and there were issues still unresolved. - A French official also told Reuters that Foreign Mimister Laurent Fabius was leaving the talks and would return from France when it was "useful." I did receive an email about this about 1 hour ago, but surprisingly, none of US Media, are reporting this yet. Is the US vetting the results with allies in the US and abroad?